This 15' of vacuum/solution hose comes with an adaptor plate for use with the Trusted Clean 'Pro-7' professional carpet scrubber. It allows for a handheld upholstery tool or drag wand to be used with your self-contained extractors for cleaning in hard to reach areas. 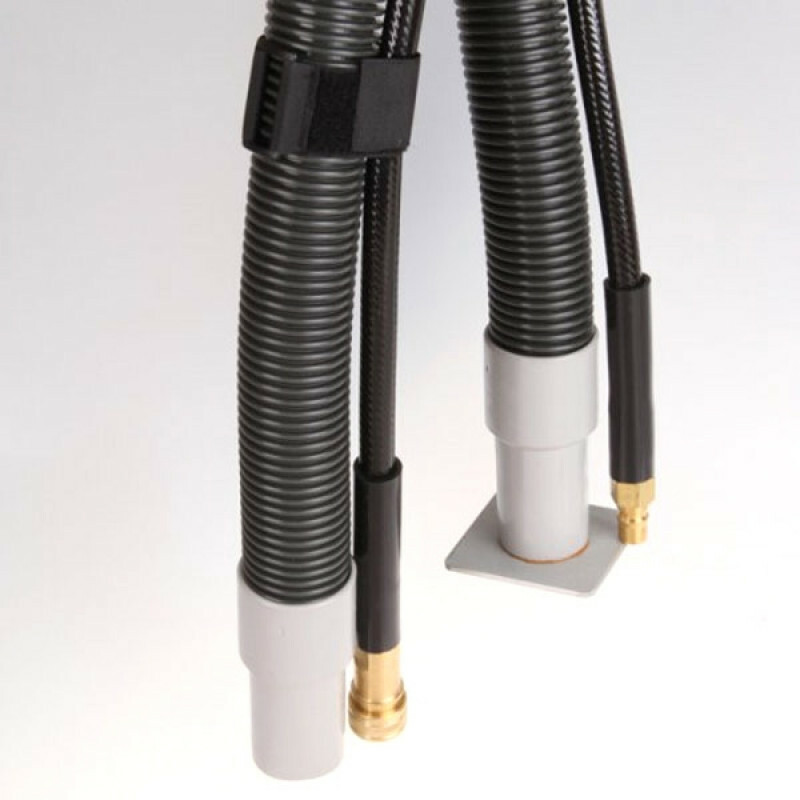 Even though this hose set is manufactured by Trusted Clean, it is universal, and can be used with the EDIC Polaris 5, the EDIC Polaris 7, the EDIC Polaris 12, and the EDIC Supernova 2 way carpet scrubbing machine. The solution line is equipped with 1 male quick disconnect and 1 female quick disconnect, and the vacuum hose is 1.5" in diameter. 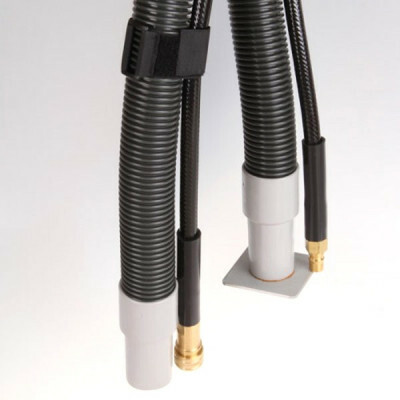 One end of the vacuum hose has an adaptor plate that attaches to the machine, and the other end is open to attach a drag wand or an upholstery tool to it. For more vacuum/solution hoses and carpet wands, please take a look at our complete line of extraction hoses. Customers who were interested in the 15' Self Contained Carpet Extractor Hose Set w/ Adaptor Plate were also interested in the following items. This is a review for the 15' Self Contained Carpet Extractor Hose Set w/ Adaptor Plate.